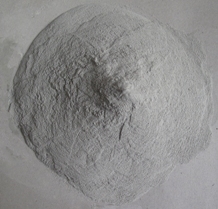 Dry Mix Mortar Materials | MUHU (China) Co., Ltd.
CGM-1P compressive strength can reach up to 50Mpa in 1 day while equipments may be operated in 1 day after foundation grouting. The strength can be as high as 70Mpa after 28 days. MUHU brand Cementitious Self-leveling Floor Mortar is a self-leveling cementitious, non-structural, floor underlayment intended for use over poured in-situ and precast concrete floors which will be covered by carpet, vinyl, ceramic tiles or natural stone. Only water needs to be added at the job site to obtain the desired consistency for pumping or manual installation. Cement-based Tile Adhesive /bond is an adhesive mortar for installing all types of floor and wall tiles. It’s an unique mortar with chanracteristics of high sticking power, low water absorption, high chemical resistant with long life and easy tile installation. It may be applied to new concrete, old concrete, cement plaster, brick and block works. Tile Grout is the material visible between tiles. It is powder form which used to fill the space between the tiles and to support them. It is designed to provide maximum adhesive tensile strength with water resistance and decent appearance. It is a revolutionary system formulated by gelled material, cement, sand, fly ash, superfine active material and additives for application in exterior wall. It perfectly combines the flexibility of high polymer materials with durability of inorganic materials. It can glue to alkali-resistance gridding cloth, introducing a protection layer.